Blogger: GemSen. 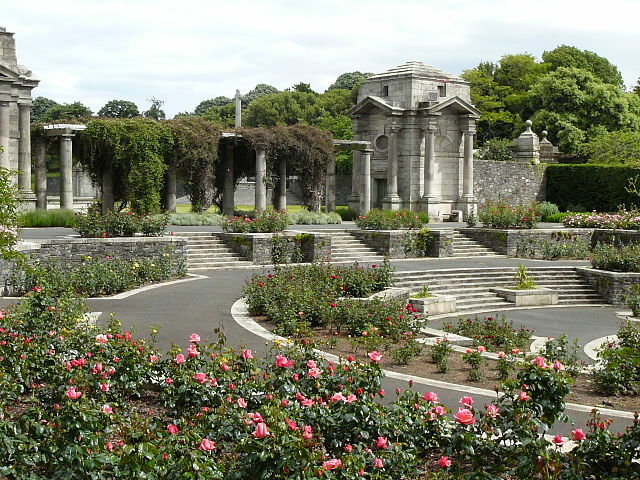 Pardoned Irish World War II veteran, Phillip Farrington, has laid a wreath at the Irish National War Memorial at Islandbridge, Dublin, to pay his respects to his comrades. This week, among a small group of relatives and supporters, Mr Farrington remembered the men who joined Allied forces and were blacklisted for their principles, reported the Belfast Telegraph. From Seville Place in Dublin, 92-year-old, Mr Farrington, was 19 when he enlisted in the British army. He served in France and Germany and helped to liberate Bergen-Belsen. Punished for their principles During the Second World War, Ireland remained neutral, but this didn’t stop thousands of brave Irish soldiers leaving the Irish army and the country to join the British Forces in their fight during World War II. You’d think these gallant soldiers would return to Ireland after the war with a heroes welcome but they got quite the opposite, and in 1945 the government punished them for going AWOL. Found guilty of going absent without leave by military tribunal, these soldiers were barred from holding jobs paid for by the state and they lost their pension rights. Individuals were not given a chance to explain their absence. Worse still, they became shamefully known as deserters and many faced discrimination that had an effect on them and their families for many years. During World War II, the Irish defence forces had around 42,000 serving personnel and over the course of the war, it was estimated that more than 7,000 members deserted. Out of these, about 2,500 personnel returned to their units or were apprehended and were tried by military tribunal. More than 4,500 deserters were dismissed under the ‘Emergency Powers Order’. Along with Mr Farrington, it is estimated that about 100 of the veterans are still alive. At long last: recognition Last year the Irish government finally apologised for the way these soldiers were treated and the government announced a pardon for them in May this year. The bill also granted an amnesty and immunity from prosecution to the almost 5,000 Irish soldiers who fought alongside the allies. This, along with time, has brought fresh perspective to the actions of the pardoned soldiers in Ireland - they should be remembered only with respect and honour. Campaigners believe that this is a victory for their long battle to ensure that the names of thousands of soldiers have been cleared and the troops' service properly recognised. "The event has to be held to mark the passing and signing of the amnesty into Irish law. It is an unprecedented piece of legislation which clears all concerned,” said Peter Mulvany, co-ordinator of the Irish Soldiers' Pardons Campaign. Remembrance Three poppy wreaths with Tricolours attached were laid at the memorial, including one by Mr Farrington. Two of the wreaths will be taken to the UK and laid at war memorials during Remembrance services in November to mark the Irish men and women who were forced to emigrate after returning home from the war. Sources: Belfast Telegraph and BBC How gutting it must have felt for those soldiers to have been punished for doing what they thought was right - standing up for their principles and Allied country during a world war, fighting against Hitler's dictatorship. This must have taken such courage to do in the first place, and then afterwards it must have taken a whole lot more. On Remembrance Day will you take time to think about the brave pardoned soldiers who against the consequences stood up and helped Britain fight during the Second World War? Was anyone in your family an Irish soldier during World War II who left the Irish army to join the British Forces? Please tell us and help the stories and the recognition of the pardoned soldiers grow... Researching your ancestors? Visit the Forces War Records website and search our wealth of records including those from World War II.